The lineup for Outside Lands 2018 has been unveiled by Another Planet Entertainment, Superfly and Starr Hill. The 11th annual festival is returning to San Francisco’s historic Golden Gate Park on the weekend of August 10-12th. The three-day weekend event is featuring some A-lister musicians including some powerhouse female vocals. Performing at Outside this year are an exceptional group of powerhouse artists including Florence + The Machine, Janet Jackson, The Weekend, and Bon Iver. 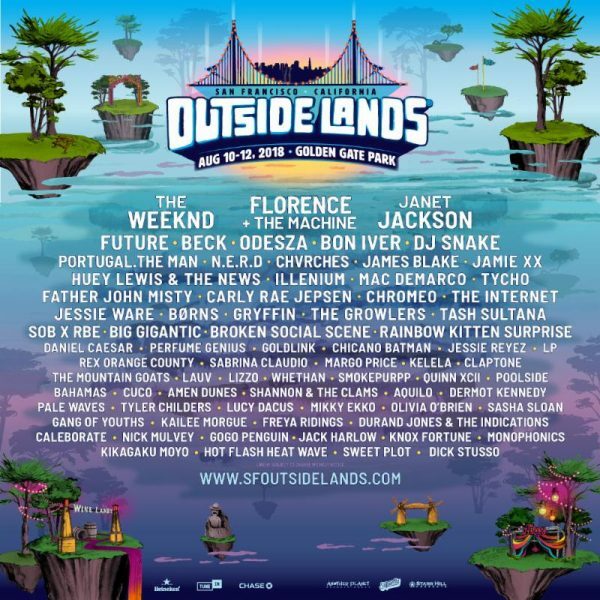 The people behind Outside Lands has again curated another lineup of the hottest new talent featuring appearances such as Sabrina Claudio, Kelela, Daniel Caesar, Tash Sultana and many more. This combined with crowd favorites like Beck and Chvrches and musical legacy acts like Huey Lewis & The News. 2018 Outside Lands Festival is one not to miss. Check out the full lineup in the list below. Don’t worry; there is something for everyone. 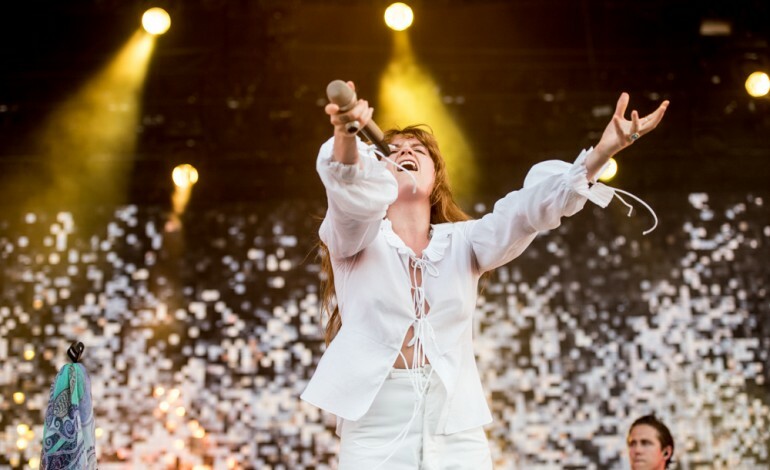 Florence + The Machine were asked to perform at the festival back in 2005, but the band insisted that they wanted to wait until they had new material under their belt. The British band hasn’t released a new album since 2015 with How Big, How Blue, How Beautiful but Florence + The Machine’s fourth, not yet titled studio album is expected to come out later this year. Fans of Outside Lands know that the festival isn’t just filled with music and memorable performances, but it also is a three-day weekend full of some tasty foods. The culinary program set up by the festival will continue to expand giving fans in attendance access to over 200 menu items from the Bay Area’s best restaurants, hundreds of Northern Californian wines and beers, not to mention a collection of the best cocktail bars in the area. The Outside Lands 2018 food and drink lineup will be announced soon. The festival is expanding its effort to be environmentally friendly by diverting more waste than any other festival of its size. Last year, 91% of the waste was composed of reusable, recyclable, and compostable materials. Outside Lands contributed over $20 million to the San Francisco Recreation & Park Department. This year’s event is offering for the first time for fans, a 3-Day General Admission and VIP Layaway Plan option which allows those who wish to attend the option to pay for their passes in four installments. Fans can purchase their 3-Day GA and VIP Regular and Layaway Plan passes when they go on sale this Thursday, April 5th at 10 am PT exclusively here. Tickets range from $375 plus fees for 3-day GA to $375 plus fees for 3-Day VIP. During the previous seven years, the festival has sold out in advance for fans are encouraged to buy their passes as soon as they become available. Check out the festival’s official website for information on passes, lineup and more.